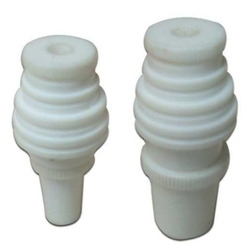 Our organization is one of the well-known names in the market engaged in offering optimum quality range MOS2 Filled PTFE Products. These are manufactured using quality raw material and latest machines. At our premises all the professionals sure that the project is completed on time and the products are developed in line with the industry set norms. Besides, several tests are conducted by us to ensure that the products are free from any defects. These products are offered in various technical specifications. 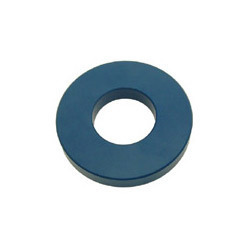 Owing to our expertise in the respective domain, we are engaged in offering a comprehensive range of MOS2 Filled PTFE Washers. These washers are widely used in pipelines for preventing any water wastage. Our range can be designed in various technical specifications like designs, colors and sizes as per the application needs of our clients. With the support and assistance of our professionals, we are engaged in manufacturing and supplying an extensive range of MOS2 Filled PTFE Components. These components are dimensionally accurate and fit well on various application needs. We use quality tested raw material in the production process to make sure that the products are at par with the international quality standards. 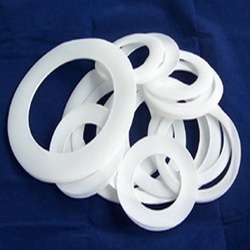 We are manufacturer & supplier of MOS2 Filled PTFE Gaskets. 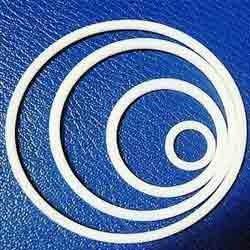 These gaskets are developed at our premises using high grade raw material in tandem with the set industry standards. All the products are tested by our quality auditors to ensure defect-free nature. With the help of latest machines we are able to meet the bulk requirements of our clients and can develop them in various sizes and grades. We offer our products at market leading rates and deliver the same on time. We manufacture and supply an extensive range of MOS2 Filled PTFE Rods. Manufactured at par with the set in norms, the rods we offer are durable in design and dimensionally accurate. These rods are used across various industries for their optimum quality. We have employed experienced team of engineers, who can design these rods in various sizes, thickness and other technical specifications. 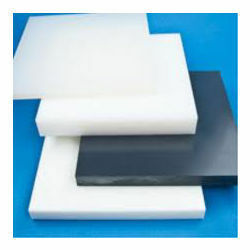 Our products can be availed in bulk quantity at reasonable rates. We hold years of experience in the domain of manufacturing and supplying an extensive range of MOS2 Filled PTFE Rings. At our advanced production unit, these rings are developed in strict tandem with the set industry norms using latest machines. These rings can be developed in bulk quantity and in various specifications as per the details provided by our clients. We assure to test the final range on well-defined parameters and pack them safely before the final delivery. Over the years, we have developed trust amongst our clients by offering them unmatched quality range of MOS2 Filled PTFE Sheets at market leading rates. We have hi-tech machines at our premises to manufacture the products in tandem with the guidelines set by the industry. Catering to the demands of numerous industries, the sheets we offer can be installed with ease as per the application needs. In order to attain maximum client satisfaction, we offer these sheets in various sizes and other finishes. 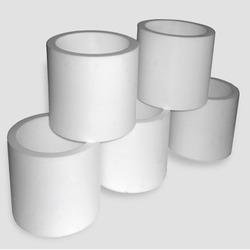 Our organization is one of the well-known names in the market involved in offering a comprehensive range of MOS2 Filled PTFE Bush. These are offered in varied sizes & grades and can be customized as per the application requirements of our clients. In order to assure that each piece is defect-free, these are tested at our laboratory by our experienced team of professionals. We pack all the orders in bulk quantity using quality packaging material and deliver the same within the stipulated time frame.